Forbo Flooring Systems has launched a brand new adhesive free sheet vinyl product category into its flooring portfolio – Modul’up Vinyl Flooring. Requiring no adhesive, tackifier or double-sided tape, Modul’up saves on the cost and time of installation, meaning contractors can complete more jobs, quicker. With greater flexibility, excellent dimensional stability and quick and easy removal for replacement – not to mention an unrivalled choice of colour and design – Modul’up offers contractors a truly hassle-free and attractive sheet vinyl proposition. Production techniques are continually advancing and some vinyl floor solutions now no longer need adhesive; Modul’up is proof of this. Thanks to its double structural stabilisation system, which incorporates two layers of fibreglass fleece within the construction (compared to only one layer in standard vinyl), this sheet vinyl will not curl, ruck or roll once installed with the Modul’up tape system. This is a unique single-sided tape system, to ensure the product joins stay tightly in place once installed, making it a truly ‘lay flat stay flat’ flooring solution in every sense. Garry Bateman, Head of Technical at Forbo, explains the benefits further: “The innovative Modul’up tape system works by being fitted underneath the joints between the sheets. 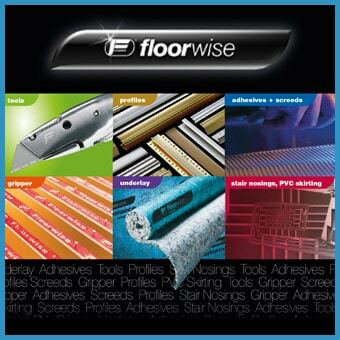 The non-slip surface on one side ensures the product stays in place without sticking to the sub-floor, while the adhesive side adheres to the vinyl to keep it firmly in place. There is no need to perimeter tape the room or door thresholds either, delivering further time and cost savings. “For contractors, this offers greater flexibility as we’ve removed any adhesive setting and drying times involved; there are no associated potential adhesive failure issues, and the product can be installed directly onto old floor coverings. Modul’up does not require any specific substrate preparation before installation in renovation projects, which can save on both time and costs, and because there are no adhesives involved, the floor is ready for use as soon as it has been installed, meaning jobs can be signed off quicker by clients. When it comes to renovating, Modul’up can be installed while the premises are in use as there is little or no noise, dust or odours. At the end of its long service life, the vinyl is instantly ready for recycling, as once lifted, there is no adhesive residue stuck to the back of the material, and the subfloor is left clean and sound for repeat installation. Modul’up not only delivers real cost and time-saving benefits, but it also offers a wide choice of colour and designs to complement an array of interior designs. The range consists of a palette of 20 colours, all of which are available in the compact version.